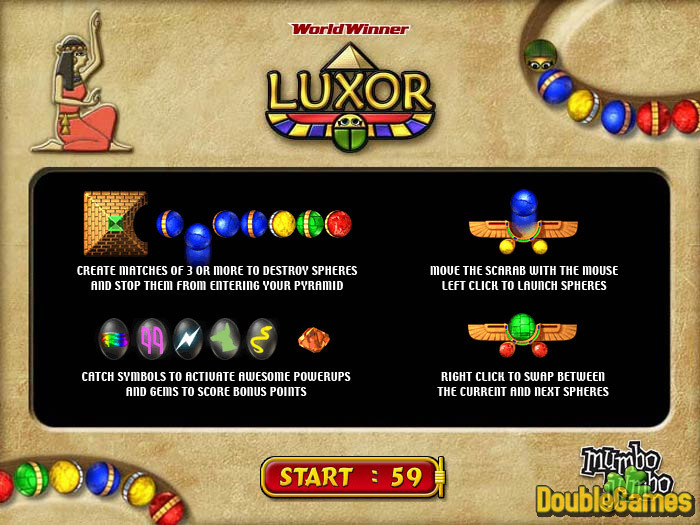 Play Luxor online, a terrific tournament game, to save Egypt from Set's evil magic! Don’t let the evil god Set destroy this one of the beautiful places on the Earth! 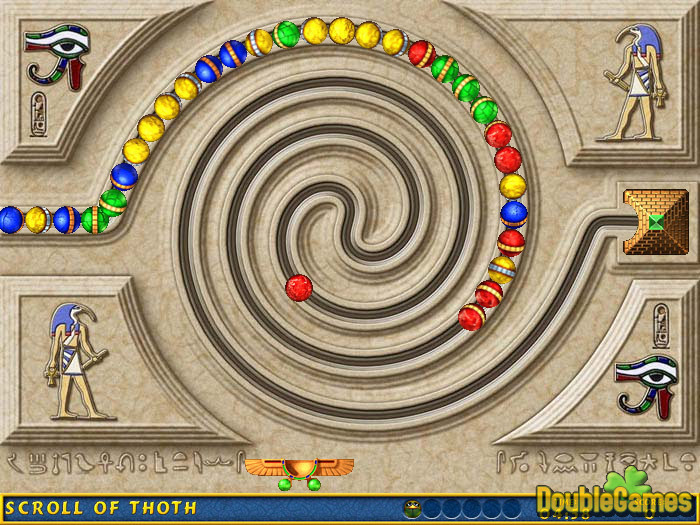 You are to break all these colored spheres before they reach ancient pyramid. 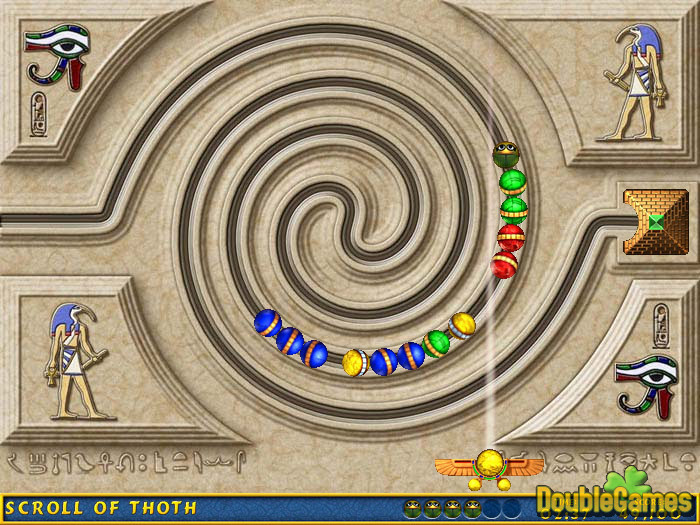 There are twenty-six intriguing maps and three challenging levels that will dive you into ancient world of Egypt. Are you ready to be thrilled with this dazzling game? Luxor is for those who are sure of their match-3 skills! Try your skills now!